As I’ve delved further into this world of photography, I’ve inevitably tried a lot of equipment and gear to help improve my photography. I’m not a full-time professional photographer, so most of my equipment was purchased used, and the majority of it is not the latest nor the greatest on the market and I’m 100% okay with that. If you have ever taken a photography class or done a workshop, you’ve probably heard someone say some variation of, “it’s not the camera that makes the photo, but the photographer” and that is totally true. However, that doesn’t mean you shouldn’t have the best possible equipment for your unique style of photography as long as it fits within your financial means. If you’re like me, that might mean buying used vs new to help get more bang for your buck, or it could mean focusing more on “all in one” type of body/lens combos to cut costs that way. 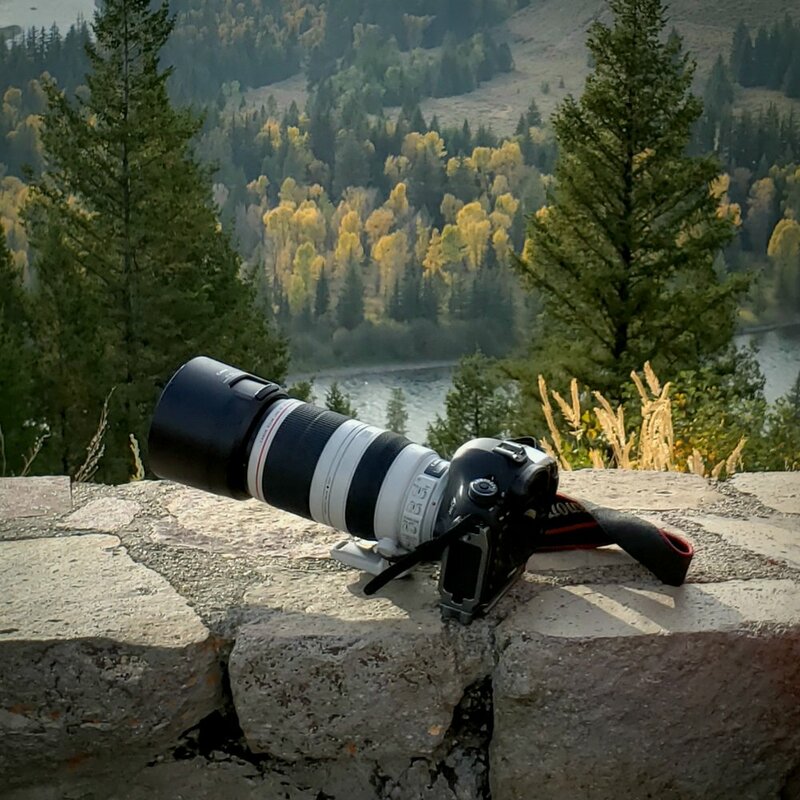 Anyways, I’m digressing from the subject of this post, which is my gear list for wildlife and landscapes, but I wanted to sort of set the record on how I feel about posts on camera gear. This is just MY list - if you have different or less equipment, it doesn’t at all mean you can’t go out and get phenomenal photos in cool locations. There are a bunch of other little accessories and things that I’m not thinking of, but this covers most of the big stuff. As I’ve typed this out. I realized that I really wasn’t kidding when I said I get most of this stuff second hand. The retail amount of these items is definitely a shock to the system but the good news is that I realistically paid about 60% of the MSRP on this gear just by doing some research and finding deals. Anyone can do this if you’re willing to put in some time and take on a little risk. The camera body came from Craigslist from a college student who used it for a project and decided they weren’t THAT into photography. The other lenses mostly came from Craigslist and eBay and all work like they are new and look the part too. I’ll be totally transparent here, the Sigma lens was an eBay product and it did arrive with a problem. It wouldn’t focus at any distance past about 10m. The result was that I had to ship the lens to Sigma’s repair facility, and I paid about $250 to have it repaired, cleaned, and shipped back to me. Even with all that, it still was cheaper than retail and it literally functions as new, but I didn’t ultimately save as much as I typically do from buying new. Best advice I can give you on buying used is to be cautious. If a deal seems too good to be true, it probably is. Test as much stuff as you can before you buy, and you’ll likely be able to build up a pretty legit kit without breaking the bank.